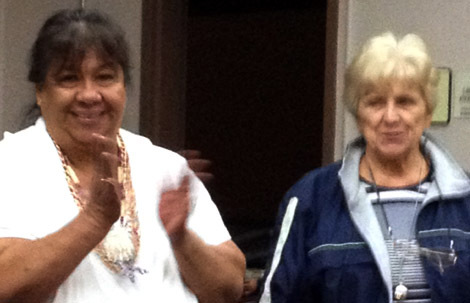 This workshop gathering is warm and welcoming. Winter continues to challenge the health and life of many of our American Indian community both in town and on the reservations. 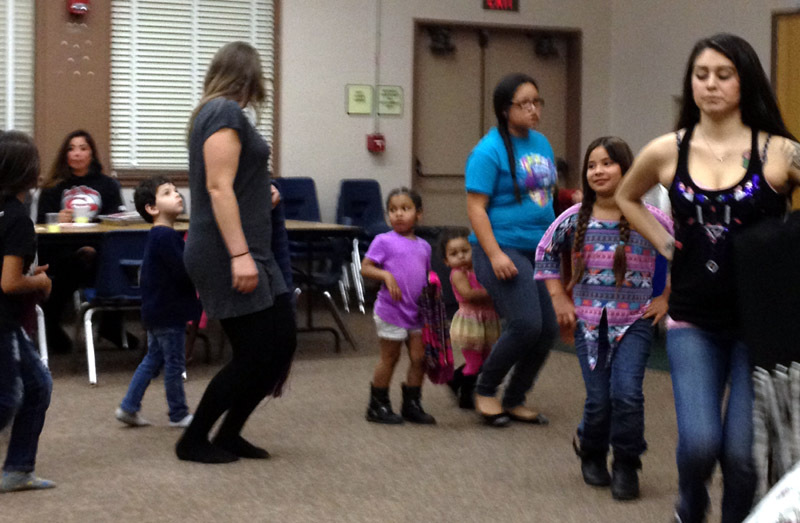 In spite of the sadness there is a surge of new families and children with the interest and commitment to attend the Soaring Eagle dance workshops. 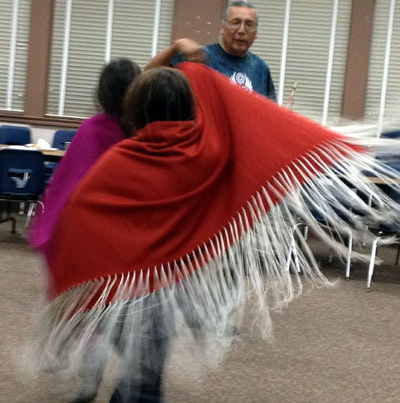 By example pictures will demonstrate views of our instructor, elders, parents and new and young Soaring Eagle dancers from the 1/014/15 Soaring Eagle Dance workshop at the SDUSD Ballard center in Old Town San Diego. The Ballard Center location is in Old Town: San Diego Unified School District, SDUSD at Ballard Parent Center 2375 Congress St. San Diego, CA 92110. 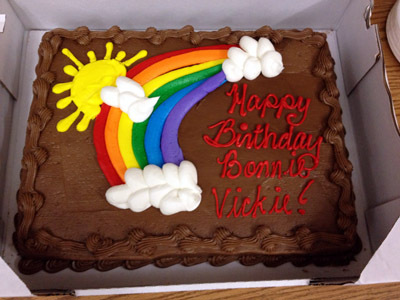 We recognize six or seven January birthday celebrants and the sugar and guilt-free special cake for all to enjoy. Here are views of some of our special ladies and group views. Our next Ballard center workshops are: February 4, 11 & 25. 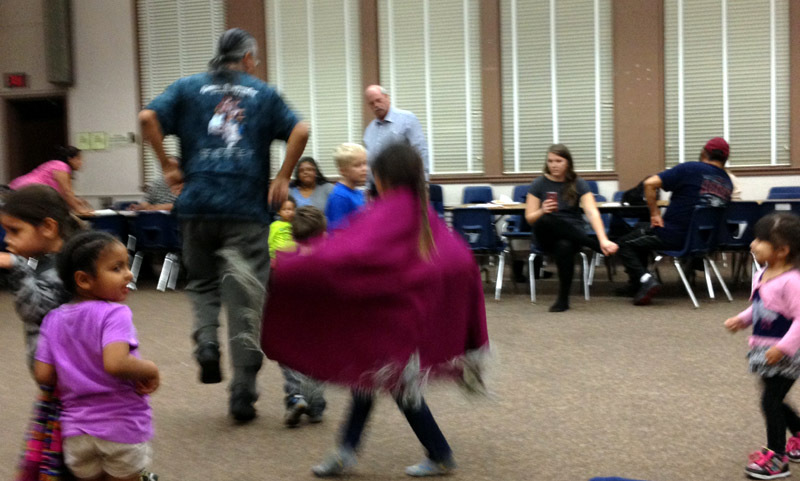 This Soaring Eagle dance workshop was filled with anticipation of the next month pow wow. The workshop also continues to encourage the continuity of our tribal cultures and is bound up in the wisdom lessons of traditional life. 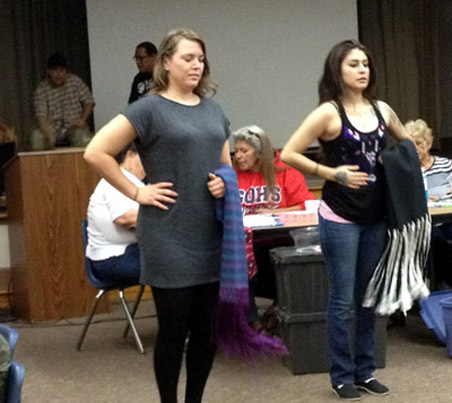 This month is still a good time to review dance regalia and adjust for growth or wear. However, caution was expressed when ordering outfits that required a large up-front deposit.